You'll find lots of new functionality for accounts integrated with cloud accounting software. Read the full breakdown below to find out about everything released over the past month. Line items - This feature means you can now separate individual line items within a receipt or invoice on the receipt details page. Allocate different categories or tax codes to different line items, for example separating goods purchased and shipping costs. Learn more about Line items here. Automatic line item extraction and Smart Split - Use Smart Split to create supplier rules for your line items. For your regular suppliers, you will no longer need to manually add category details on recurring line items. Smart Split automatically creates default line items for them, so you can have more time to focus on growth. Learn more about Smart Split here. Expense Reports - Use our new Expense Reports tool to view expense items in your Sage account. Designed to be simple and customisable, you can now see more information on your items in Sage Accounting. But that’s not all - keep your eyes peeled, as more functionality will be added for Sage Accounting users in South Africa soon. After listening to feedback provided by our Partners, we are excited to offer new functionality for QBO plus users. Here is the brand new Billable Checkbox! Users of QBO Plus now have a ‘Mark as billable’ checkbox on items. If your client has a rebillable item, the client can mark it as rebillable in their mobile app when they submit. Alternatively, you can mark it as rebillable for them. Just click through to your Edit Items screen within the Receipt Bank web app. Once published, the item generated in QBO will be marked as a billable expense, all ready to create an invoice. Have you tried Invoice Fetch yet? Invoice Fetch automatically collects your bills and invoices from online portals such as your energy bills. Take a deeper dive here. Last month, Invoice Fetch was officially launched. Yet, as is the Receipt Bank way, we are already building on its functionality to give you more value. On the Invoice Fetch page, you can now see a list of suppliers available for Fetch. You can search through this list and do some matchmaking, finding out who of your clients’ suppliers can be connected. A pop-up message when you delete a supplier, asking you to confirm if you want to complete this action. This ensures that none of your connected suppliers are accidentally removed. A success banner if you ask Invoice Fetch to check for new items, making sure you stay in control of your connections. This is just the start for Invoice Fetch. With lots more on the roadmap, keep an eye on the Receipt Bank blog to stay updated on the upcoming product updates and features. We want your bookkeeping and accounting processes to be simple and straightforward as possible. That is why we are excited to announce there is a new project in the works. Introducing Bank Fetch - think what Receipt Bank does for receipts, with your clients’ bank statements. Bank Fetch securely fetches your clients’ bank statements from their online banking service, and prepares your client’s data to be processed*. *Only available for Receipt Bank Streamline and above. Register your interest to get involved in the beta program for Bank Fetch here. This hotfix corrected the issue OnePlus 6 users experienced when using the camera. This update fixed some issues around inviting users to join Receipt Bank on their mobile app, to make sure that they are automatically logged in. 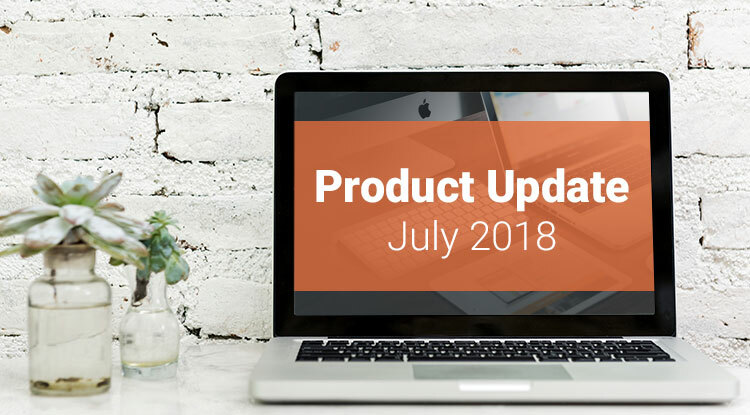 Check in next month for the latest product features, there to help you make your bookkeeping more efficient and give you more time to do what matters.